By the time most people in Toledo, Ohio, are past the point of trying to repair their marriage and just want out, they are too stressed to take on the process of a divorce by themselves. While just getting out quickly and starting life over might sound appealing, if someone doesn’t take the time to dot all the “i’s” and cross all the “t’s,” you can just about bet that there will be some regrets when it is all over. This is where your attorney is going to be your biggest ally. Can I File for a Divorce Without a Toledo OH Divorce Attorney? Yes, you can certainly file for a divorce without an attorney, but it is not recommended, especially if you and your soon-to-be ex have not already worked everything out. By everything, I mean who is going to stay in the family home, who is going to move out, who gets what, who is going to pay joint bills, possible child custody and visitation arrangements, child support or alimony, pet division, and any other number of items. How Can a Toledo OH Divorce Lawyer Help Me? 1. Explain the Ohio state divorce laws to you. 2. Answer any questions you may have. 3. Prepare and file your divorce papers. 4. Help you make an inventory of your property and assets. 5. Help you obtain a valuation on property if necessary. 6. Advise you on splitting the financial obligations. 7. Help plan a child custody arrangement and visitation schedule. 8. Help you determine reasonable child support or alimony. 9. Represent you in court. 10. Help to negotiate a fair settlement. 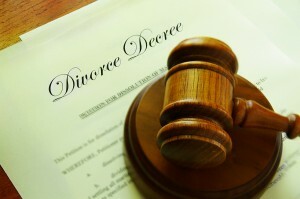 One of the biggest benefits your Toledo, Ohio, divorce attorney can provide you is peace of mind. Knowing that you have an ally on your side helping you walk through your divorce process is key to eliminating the stress. What Are the Property Division Laws in Toledo OH? Ohio is a community property state. That means that whatever you and your spouse obtain during your marriage belongs to both of you. In a divorce, the court will attempt to divide your property and assets equally. When that is not possible, as in the case of something that is indivisible, they will attempt to make things as equitable as possible. One spouse may have to compensate for a more valuable asset by paying the difference or trading another asset to make up the value. – Assets owned by a spouse before the marriage. – Inheritances or gifts made to only one spouse during the marriage. – Property excluded through a pre- or post-nuptial agreement. – Settlement for a personal injury awarded to one spouse during the marriage. A divorce lawyer can be a big help to you in these negotiations. A judge would rather agree to proposed negotiations already made than to have to make these decisions themselves if at all possible. Contact Michael E. Bryant’s Toledo, OH law office today to get the justice you deserve.